Now Plastic Pallet became one of the main business is production & distribution. It is necessary to create a competitive advantage in the commercial. Thailand has both domestic & international trade everytime. Resulting in volume increases in the Plastic Pallet every year. With the innovation of inventory. To speed production, reduce transportation costs of raw materials and exports. Regulatory compliance of various civilized countries GMP HACCP ISPM15 realizing the importance of the Pallet. 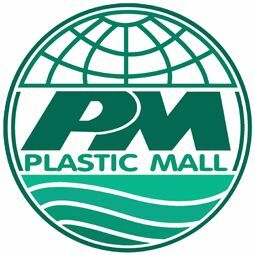 Plastic Mall Co., Ltd. has a policy of production and distribution. Including product development and quality standards. HIGH TECHNOLOGY design from GERMANY and Injection Moulding & Extrusion. Materials HDPE COMPOUND, PP & PP COPO makes effective use. The tested standard DIN and JISC. By controlling the production and maintenance environment. Together with a rubber slip and select the appropriate model to use in the company. ♠ พาเลทพลาสติก-Plastic Pallet 60 x 80 x 15 cm. ♠ พาเลทพลาสติก-Plastic Pallet 80 x120x 13 cm. ♠ พาเลทพลาสติก-Plastic Pallet 110x110x13 cm. ♠ พาเลทพลาสติก-Plastic Pallet 100x120x13 cm. ♠ พาเลทพลาสติก-Plastic Pallet 100x120x15 cm. ♠ พาเลทพลาสติก-Plastic Pallet 100x120x18 cm. ♠ พาเลทพลาสติก-Plastic Pallet 110x110x15 cm. 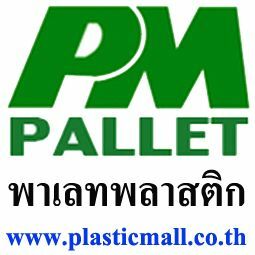 ♠ พาเลทพลาสติก-Plastic Pallet 120x120x15 cm. ♠ พาเลทพลาสติก-Plastic Pallet 100x120x16 cm. ♠ พาเลทพลาสติก-Plastic Pallet 110x135x16 cm. ♠ พาเลทพลาสติก-Plastic Pallet 120x120x18 cm. Copyright © PlasticMall Co., Ltd. 2012-2019 All Rights Reserved. ฝ่ายขายสำนักงาน 081-8267861, 081-8267862 เวลาทำการ วันจันทร์ - วันศุกร์ เวลา 08.00 - 17.00 น.